Monty Don gardener extraordinaire and his wife Sarah have written another of the cook books which is on the Winsome Hall short list of the only cook books you will ever need. This is The Home Cook Book. There are few cook books where everything works and tastes fabulous Annabel Langbein’s books are on this list as is this one by Monty and Sarah Don. I never liked brownies until I tasted these. They were either too rich or too sweet. These are both but crikey are they good. As with all cooking only use the best, in this case chocolate, ingredients you can find. Put on an old movie – something with Cary Grant, curl up on the couch and share with the one you love. 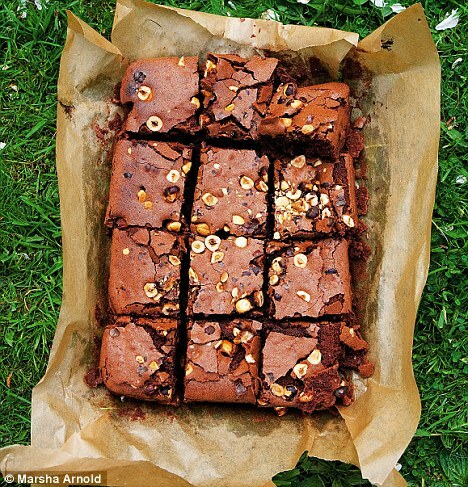 This entry was posted in Cook and tagged Annabel Langbein, Best Brownies, Monty Don. Bookmark the permalink. “Put on something with Cary Grant and curl up on the couch ” ? Who are you and what have you done with Franky’s body ? I have layers, like an onion.